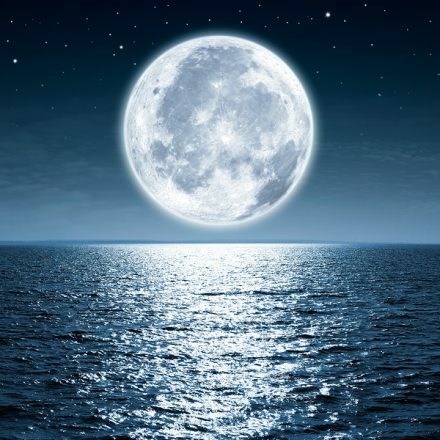 We are at the tail end of Sunday’s powerful full moon putting an exclamation point at the end of April. And, according to my friends at the PowerPath.com, “the equivalent of an eclipse.” Now is a powerful time to do some letting go and releasing with Archangel Michael. This month’s focus archangel of the month is Archangel Sandalphon with gentleness. This month, Archangel Sandalphon would like us to rediscover ease in the way we go about our daily lives. Some may call this grace and that true, but’s it’s also about being aware of how you approach your life. According to Free Dictionary.com, gentleness is both a quality and an action, “the quality of being kind, tender, or mild-mannered, or softness of action or effect; lightness.” Quality can be cultivated and how we act can be a decision. For this month it’s all about you how you talk to yourself and others and how to cultivate that quality of gentleness in everything that you do. Just bringing your awareness to it will help. Even when we are empowered and powerful we can do so with a quality of gentleness. This week the angels would like us to focus on grace and allowing that incredible energy of love to flow through you, lifting everything. Allow grace to lift your energy, your vision and all your interactions this week, then watch and experience the incredible flow. One of the most powerful ways that I know of to get back in touch with grace is through meditation and finding gratitude for at least one thing every day. Archangel Haniel is the archangel to call on when seeking that graceful energy and she is wonderful at helping us stay grounded in the process. 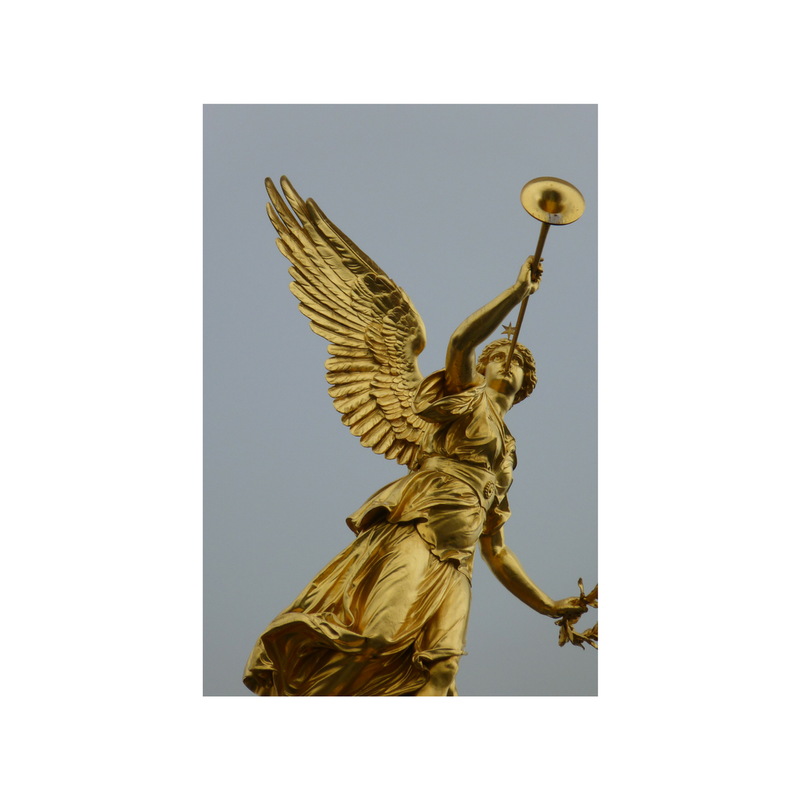 Archangel Sandalphon is the archangel of answered prayers, music, and gentleness. Don’t be surprised if you have a lot of songs being played in your head (there are messages in the music). 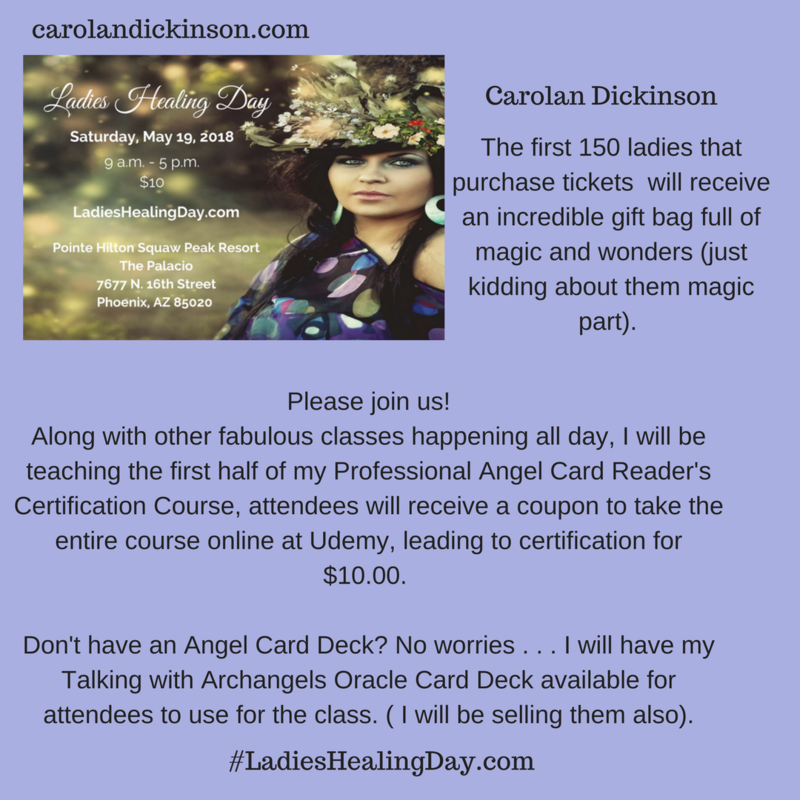 Please see my announcements below, Ladies Healing Day coming up on May 19th and there’s a wonderful volunteer opportunity with New Song Center for Grieving Children (Hospice of the Valley). New Song Center for Grieving Children, a program of Hospice of the Valley, offers confidential ongoing grief support groups for children ages 5-17, young adults ages 18-25 and adult caregivers. New Song is a volunteer-based organization that conducts support groups at six locations in Maricopa County. The Avondale location continues to grow and we are recruiting additional volunteer facilitators to meet the demand for our services in the West Valley. This support group meets from 6:00 p.m. to 9 p.m. every other Tuesday evening at First Southern Baptist Church, 1001 N. Central Ave., Avondale 85323. Volunteers complete a 22-hour training program at Hospice of the Valley Administrative Offices, 1510 E. Flower Street, Phoenix 85014. The next 2018 training sessions are Saturday August 18 from 8 a.m. to 5:00 p.m., Monday August 20 and Thursday August 23 from 5:30-9:00 p.m., and Saturday August 25 from 8:30 a.m. to 4:30 p.m. Please visit http://www.newsongcenter.org to complete the New Song Center volunteer application or for more information. You can also contact the Volunteer Coordinator Gary Anderson, ganderson@thenewsongcenter.org, 602-776-6803. Thank you Cece, I hope to see you soon!